In my continuing effort to play catch up, I’m going to talk about last weekend. Yes, I realize it’s Thursday and the new weekend is practically upon us but that’s just how we roll around here. So, last weekend. My photos, I’ll warn you now, are all of food. Sorrynotsorry. 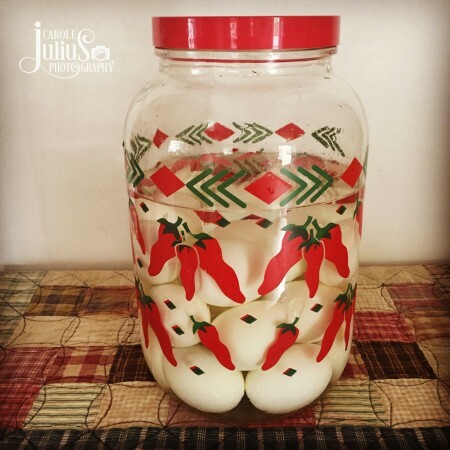 Friday afternoon I made a big ole jar of pickled eggs for Dale. The Instant Pot makes the best hardboiled eggs and they peel so easily that this only took minutes. I just use 2 parts vinegar to 1 part water and plenty of salt and I let them sit in the fridge for about 2 weeks before we eat them. So much better than store bought and a lot cheaper, too. Friday night, of course, we had our usual Friday Night Snacks. (Yes, that’s an event and therefore it deserves to be capitalized.) 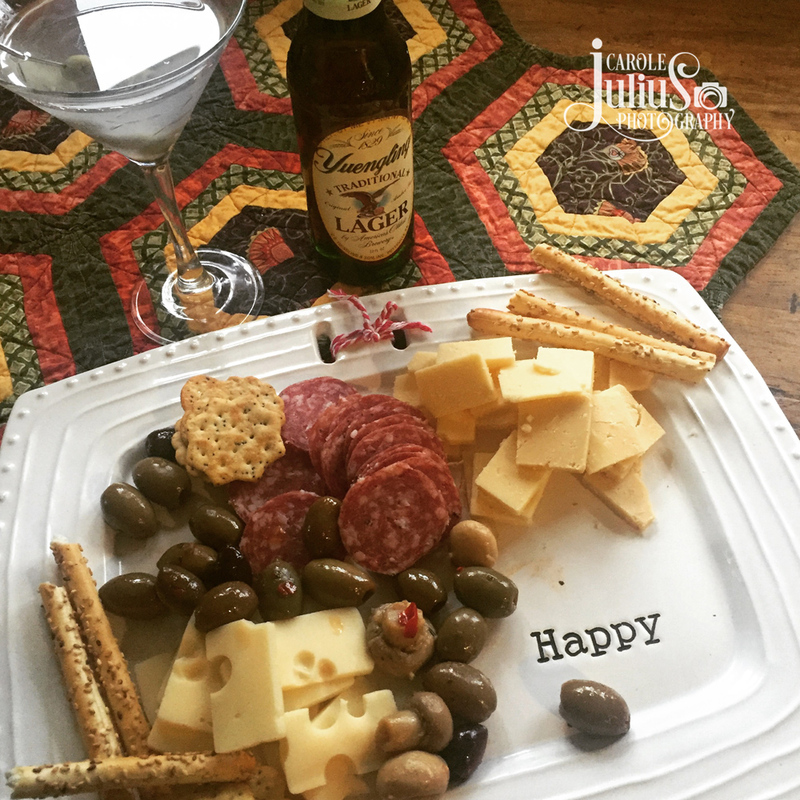 Cheese and salami, olives and marinated mushrooms, along with a martini for me and beer for Dale. It’s my favorite night of the week, I will tell you that. We wind down from the week, catch up and chat, and spend the entire evening together, listening to music, sometimes (rarely, honestly) watching TV, and most nights dancing at least once or twice. Saturday morning I had some time to myself and I spent it reading and puttering, meditating and journaling – you know, the stuff you do when it feels like you have all the time in the world to do it. That there is my Saturday lunch – leftover flatbread pizza that I made on Saturday night. I used store bought naan and topped it with fresh mozzarella and some roasted tomatoes and fresh basil along with plenty of cracked pepper. Deeeee-lish. We spent Saturday afternoon building a raised garden bed together. It was my Mother’s Day present as I really want to grow our own tomatoes and basil this year since our CSA has been discontinued. We had fun doing it, too! No pictures but I can tell you that it’s 4×8 and made of pine and perfectly level. It’s right outside our kitchen door and I’m very excited to get started but it’s still a little early here yet for planting. 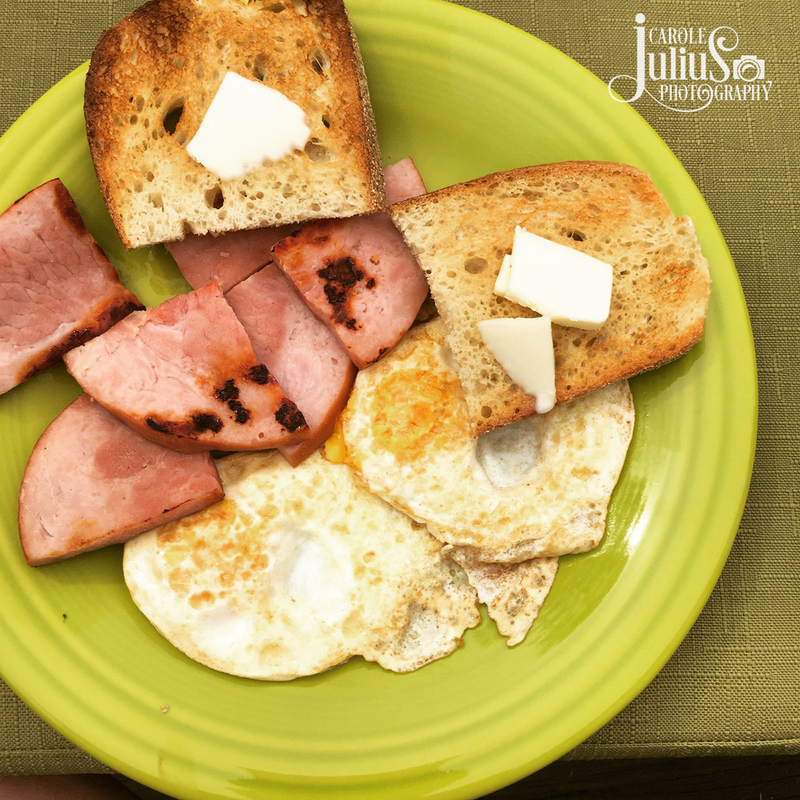 Sunday was Mother’s Day and Dale, much to my surprise, made me breakfast. It wasn’t breakfast in bed since I’d been up ages before him but it was sunny enough to be breakfast on the deck and I like that better anyway. It was wonderful and a real Mother’s Day miracle! Hannah and Jess came over for the afternoon and we had such a pleasant time. We snacked and chatted and drank wine and played banangrams. It’s so nice when your kids turn out to be people you like to hang out with, isn’t it? That, my friends, is last weekend in a nutshell. Intrigued by the Instapot HB eggs would you tell more? Looking forward to seeing your tomatoes and basil this summer! We just planted our vegetable gardens last weekend and while they don’t look like much now, we’ve at least had a few days of sun to help them get started. Love that plate! So much so that I googled it and found it on Amazon. We enjoy happy hour Fridays after work as well and this would be a great addition. 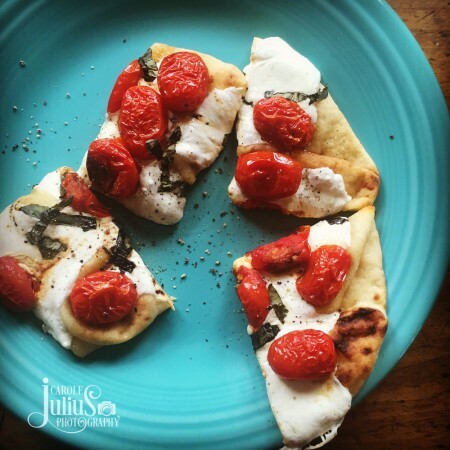 I always love it when your photo recaps are all about food – it gives me lots of ideas for things I could make 🙂 I think on this weekend’s agenda is homemade ricotta and perhaps some flatbread pizza. I truly think it’s a testament to our parenting abilities when our kids turn out to be people we actually enjoy hanging out with – and for the record, I think everyone likes hanging out with your kids! We ‘discovered’ flatbread pizza on vacation a few years ago. It is a great ‘oh my, what’s for dinner’ option. Yours looks fab. Hope the upcoming weekend holds just as many delights. One of the guys in my office keeps pickled eggs in the fridge. He adds jalapeños! Smith will be home this Freyay and I see cocktails and snacks in our future! You always have great ideas and delicious food! I don’t know how I stumbled on your blog … probably Ravelry. I’ve been following for a very long while now. I don’t think I’ve ever commented, but I have to say, for some crazy reason, I love the food pictures! I don’t know why. I think I dream of being able to enjoy eating out as much as you do. Right now I do all the cooking for my family of 10 … kids age 17 to 2. So, someday … when we retire at 70 …! Also, your blog makes me think of one of my favorite books … A Year in Provence by Peter Mayle. Talk about food; I feel full just recalling reading the book! You keep chipping away at my resolve not to buy an Instant Pot lol! Sunday night is our snack dinner night so we can watch Madame Secretary and The Good Wife! It’s a nice change of pace! sounds wonderful – and even better that another weekend begins in just over 24 hours!! No matter when you write about it! Who cares about when you share it when its full of delicious and relaxing? Looks like I’m going to have to go eat lunch now…..